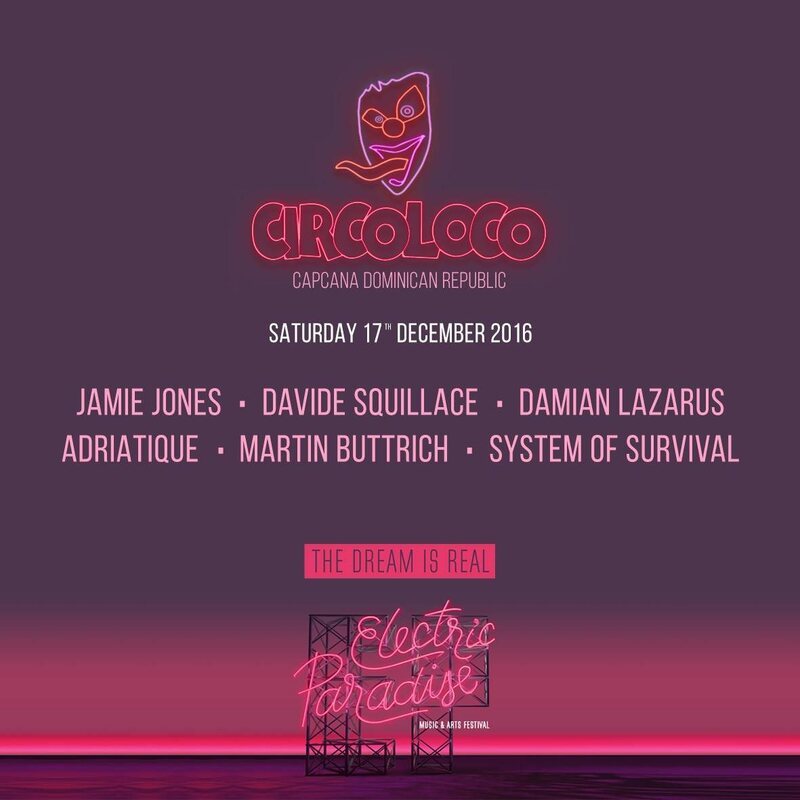 The Ibiza brand Circoloco will make their official debut Electric Paradise festival, which is being held for the third year in the Dominican Republic. At this year’s Electric Paradise festival there will be three stages, Dance, Live and Circoloco. The one-day festival is already in its third year and this time we can expect artists like Bob Moses, Hot Chip, Pillow Talk, together with the DJs from Circoloco’s stage. Their stage will host some regular Circoloco DC 10 names such as, Adriatique, Damian Lazarus, Davide Squillace, Jamie Jones, Martin Buttrich and System Of Survival. The one day Electric Paradise festival starts on the 17th of December from 4 PM until 6 AM the next day, and will take place at the Punta Cana, Dominican Republic. Get 15% OFF advance tickets for the event here.